IBS, or Irritable Bowel Syndrome, is a problem that few choose to talk about because it is not such a fun topic! Doctors see Irritable Bowel Syndrome the most out of all the common problems with digestion. In fact, about 20 percent of America deals with this rather uncomfortable problem. 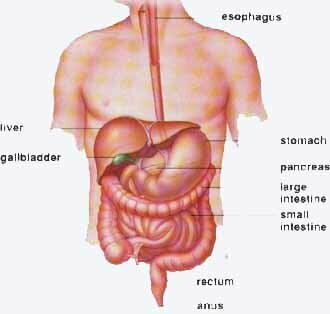 IBS takes place in the bowels and large intestine and shows up as pain in the abdomen that comes and goes. This can be accompanied by diarrhea, gas, constipation, nausea, headache, cramps, fatigue and an urgent need to empty the bowels. 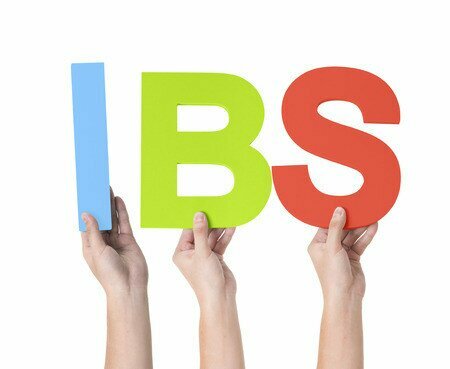 IBS is far different from IBD, Crohn's and Colitis – learn more here. Other than noticing the symptoms of IBS, there is no real easy way to diagnose irritable bowel syndrome. It is found by eliminating all other conditions that could cause similar symptoms. Your medical history will be looked at closely in the diagnostic process for irritable bowel syndrome and questions asked regarding all the symptoms you are experiencing. All of this information will be checked against the diagnostic criteria for irritable bowel syndrome. Medical conditions that can present similar symptoms as Irritable Bowel Syndrome are: allergies, Crohn's disease, intestinal infections, colon cancer, parasites or the colon becoming inflamed/blocked. Based on a number of criteria the doctor will be able to easily decide which tests to administer. It is common for the blood to be checked in order to get a complete blood count. A urinalysis and stool sample might also be taken in an exam to determine whether IBS is what you are suffering from. If you are diagnosed with IBS then there are plenty of treatment options at your fingertips. Flare ups can be managed and symptoms dealt with so that you can go on to live a good life. Antidepressants are commonly prescribed to those with Irritable Bowel Syndrome. Medicines that often complement them are antispasmodics, anti-diarrhea tablets and laxatives. Make sure that you read the side effects especially if it was prescribed by the doctor. Many times the side effects are worse than the condition itself. It is especially important that you get your lifestyle habits in order and start eating better. If you are looking for other alternative treatments for Irritable Bowel Syndrome, then you could try acupuncture, colonic irrigation and probiotics. Some of the prescription drugs for Irritable Bowel Syndrome have side effects like weakening the immune system, causing the electrolytes in your body to become out of balance. German Chamomile, Sutherlandia Frutescens, Meadowsweet and Ulmus Fulva. They all work to deal with inflammation and keep the digestive in good working order. Mentha Piperita is something you can use when you are getting a flare up. It will help to calm your digestive system down pretty quickly. Other factors that may contribute to Irritable Bowel Syndrome (IBS) include smoking, sensitivity to foods (especially dairy), overeating, eating irregularly or too quickly, use of antibiotics and other prescription drugs, candida overgrowth, as well as hormonal changes (most commonly during the menstrual cycle). As Irritable Bowel Syndrome is often affected by diet, many people have found that eliminating or reducing certain foods from their diet can greatly relieve symptoms. The foods that we eat have a huge effect on our lives. For one, we get the majority of our nutrition from food. When we eat foods that are utterly devoid of nutrients, then the body doesn’t get what it needs to keep functioning properly. The result is illness in the body. One condition that many people suffer from is irritable bowel syndrome (IBS). It results in painful cramping, abdominal pain, bloating, gas, diarrhea and constipation. Researchers speculate about the causes but these are only educated guesses. You may find relief with changes in your diet. What do you change? That will all depend on what triggers your IBS episodes. Begin by investigating what happens when you eat different foods. When your IBS first started, you probably didn’t give any thought to food as a possible trigger. You may have just thought you ate something that didn’t agree with you. Now, you know it is more than that. Keep a food journal. Record everything you have eaten each time you have a bout of symptoms of IBS. Try this for at least a month to give you enough information to determine possible triggers. In the meantime, treat your symptoms by making dietary changes. None of us eats as healthy as we should, so this gives ample opportunity to get healthier in the process. If you are experiencing diarrhea, decrease your intake of foods known to cause diarrhea. One such food is fast food. The excess grease from the food can cause your stomach to be upset and lead to diarrhea. Sticking to foods that you cook at home with healthier oils like olive and canola can lessen this symptom. Also, eating dairy products can lead to diarrhea. You may also have a touch of lactose intolerance at the same time. If avoiding dairy reduces all of your symptoms that could be your sole diagnosis. Eat slowly. Chewing each bite of your food completely aids in digestion. Less stomach acid is used to digest food and food is more easily absorbed into the bloodstream when it is properly masticated. Add fiber to your diet. More fiber can move those bowels like they should. It is a natural way to alleviate constipation without over-the-counter drugs. Avoid foods that cause gas. Trapped gas can lead to bloating and embarrassing situations. Vegetables and legumes containing sulfur compounds (broccoli, cauliflower and beans) increase gas production. Manage your irritable bowel syndrome by making changes in your diet. By identifying your triggers, you can reduce the severity of your symptoms. In addition, it may help your symptoms to increase your daily intake of dietary fiber and to drink plenty of water in order to regularly flush out toxins and detox your body. Fiber supplements which include Psyllium husks (such as ColoFlush by Native Remedies) have also been shown to help Irritable Bowel Syndrome.